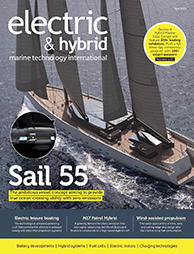 Eco Marine Power (EMP) has announced the release of two UB-50-12 hybrid battery packs for ship, offshore and land-based renewable energy projects. 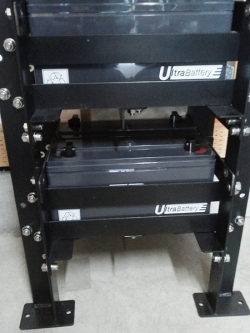 Incorporating UltraBattery technology supplied by Furukawa Battery and a scalable battery rack system developed jointly by Teramoto Iron Works and EMP, the UB-50-12 packs are recyclable and come available in 2.4kWh and 3.6kWh configurations. Each pack includes UB-50-12 valve regulated lead acid batteries, internal cables and a frame kit. Furthermore, multiple battery packs can be installed to provide energy storage for small scale installations and larger projects. UB-50-12 packs will be used as standard for EMP's Aquarius Marine Solar Power solution and offered as standalone configurations. Yoshitaka Teramoto, president of Teramoto Iron Works, said: "Our company is pleased to be working with Furukawa Battery and Eco Marine Power in bringing this new product to the market and it also allows us to demonstrate again our ability to produce high quality marine-grade steel products."